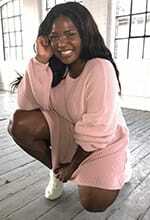 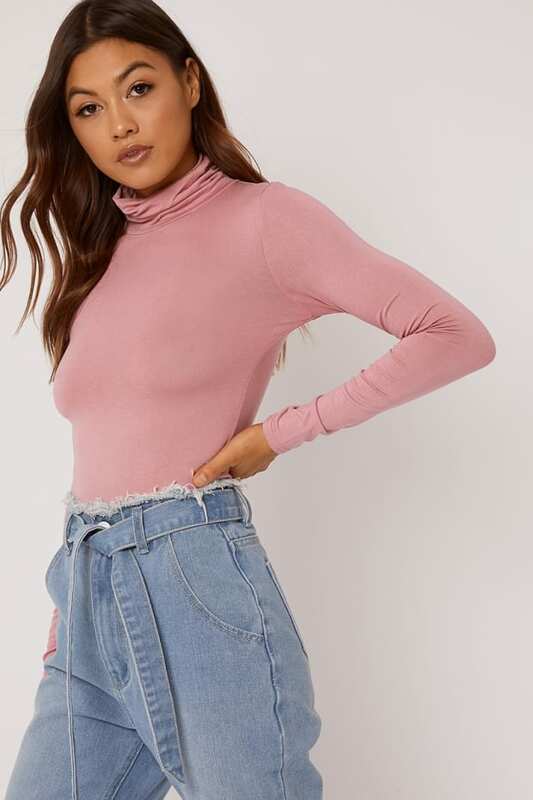 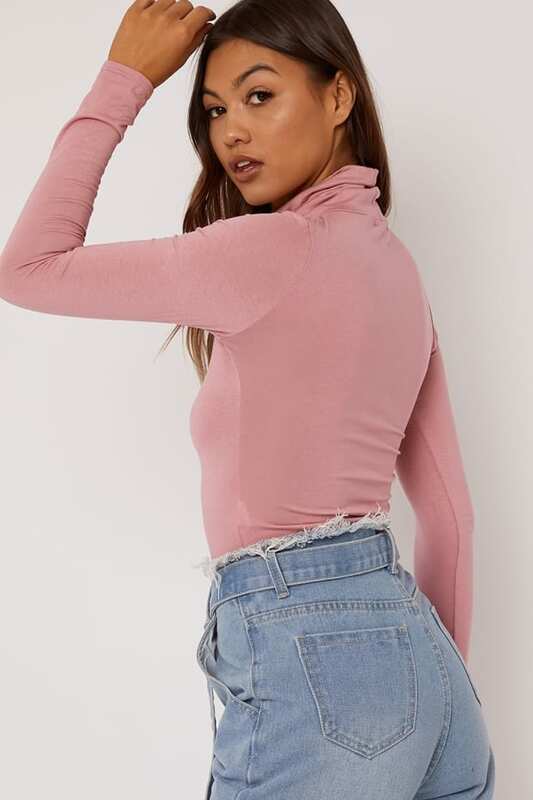 Refresh your basics with this long sleeve pink bodysuit. 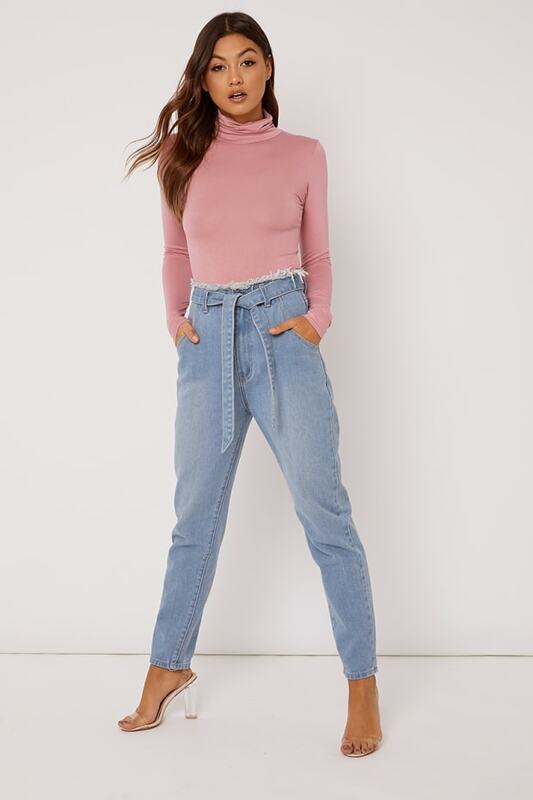 In a soft jersey fabric featuring a roll neckline, high leg and popper fastening, this is essential for creating some fiery outfits! 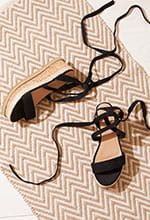 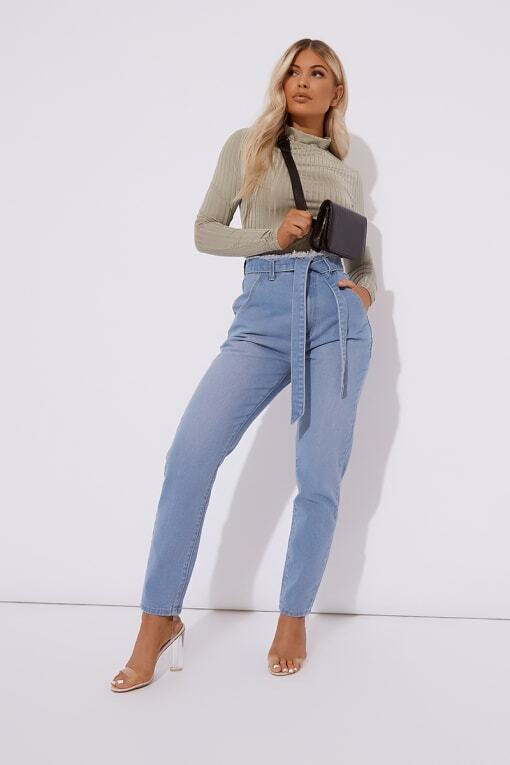 Go for jeans and heels for a cool daytime style.